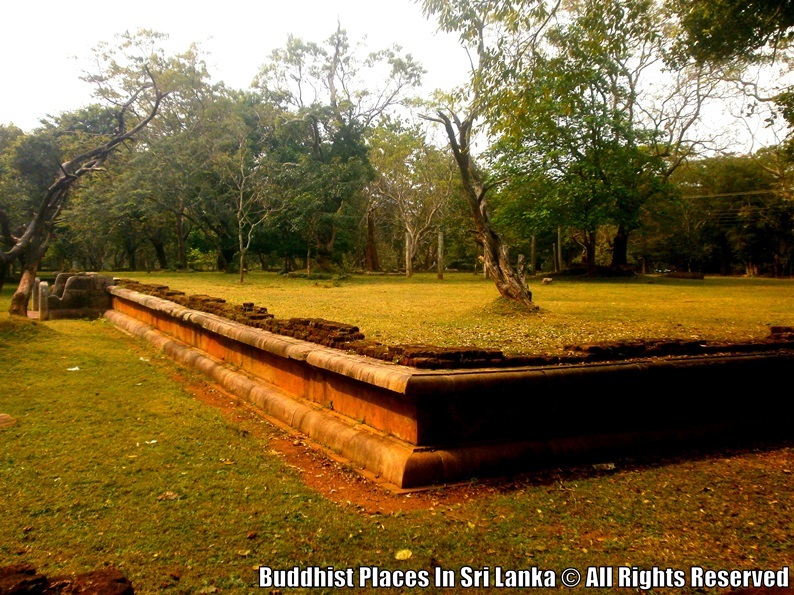 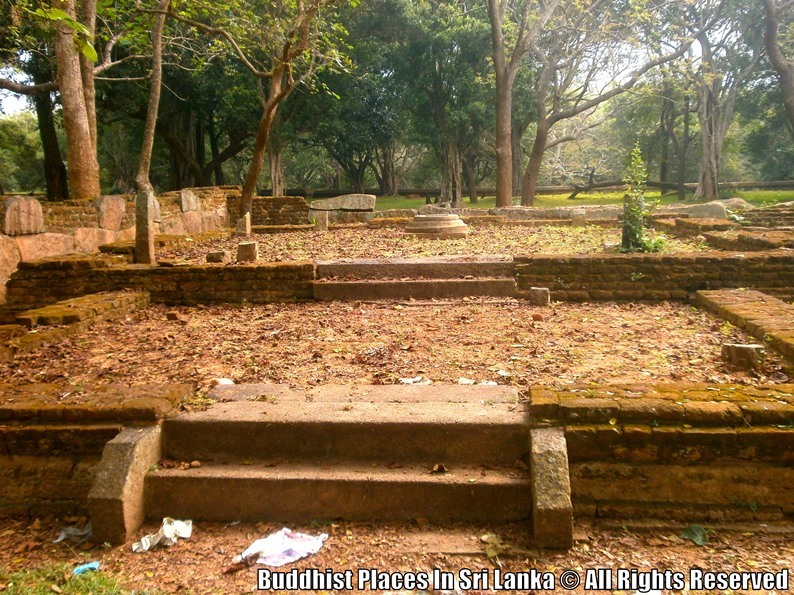 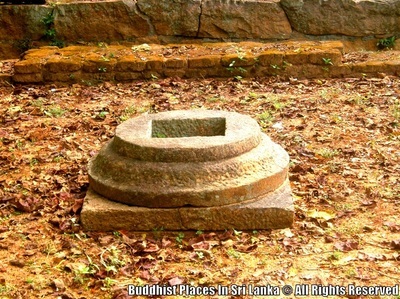 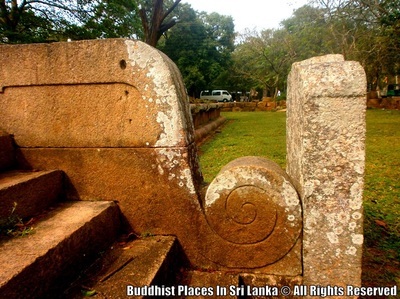 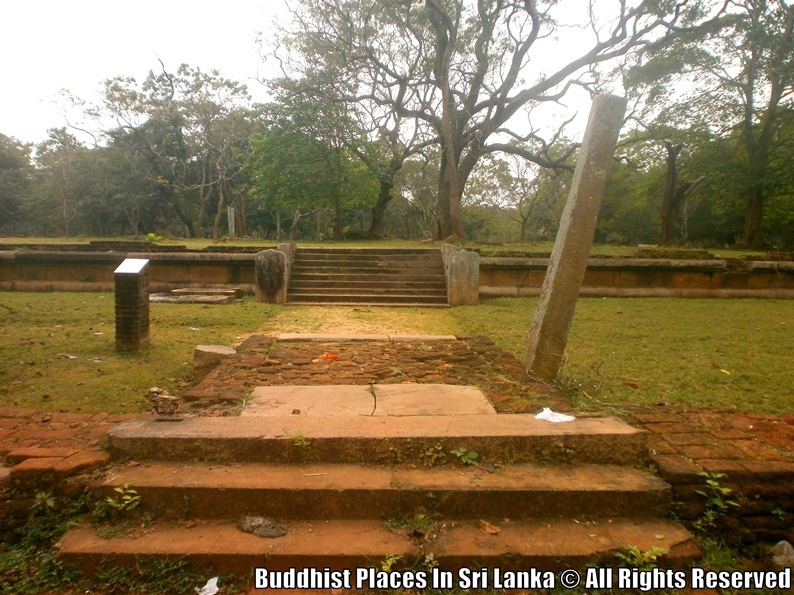 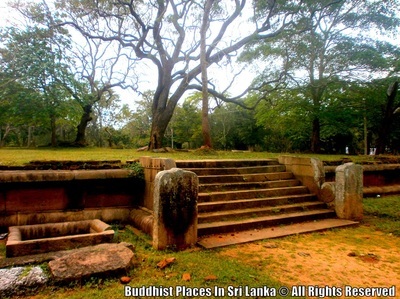 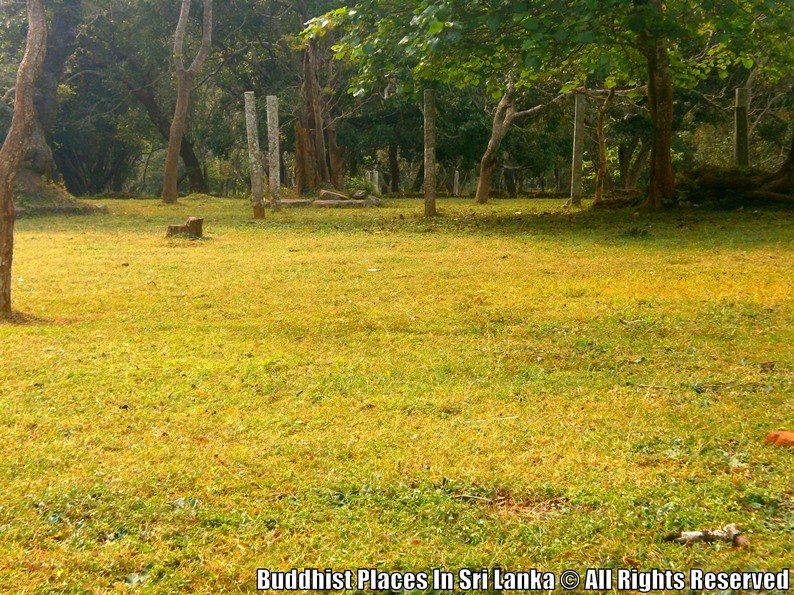 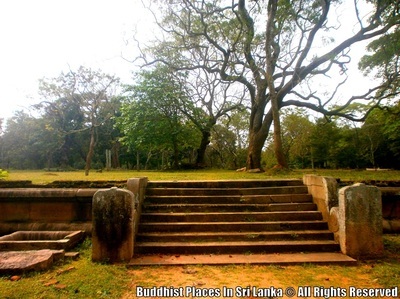 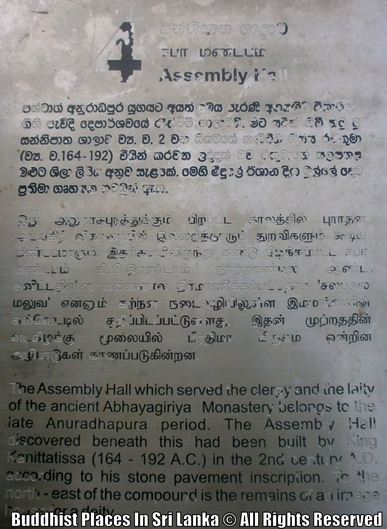 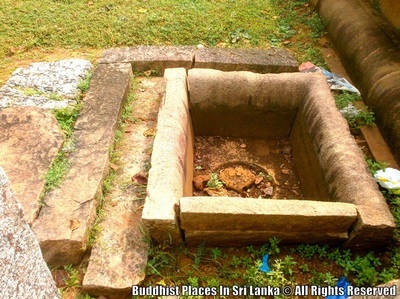 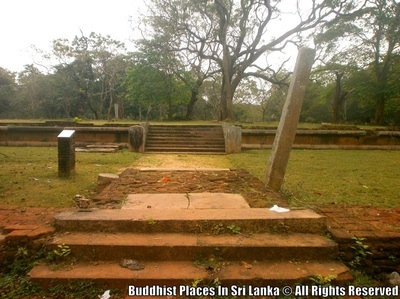 The assembly hall which served the monks and the laity of the ancient Abhayagiriya Monastery belongs to the late Anuradhapura Period. 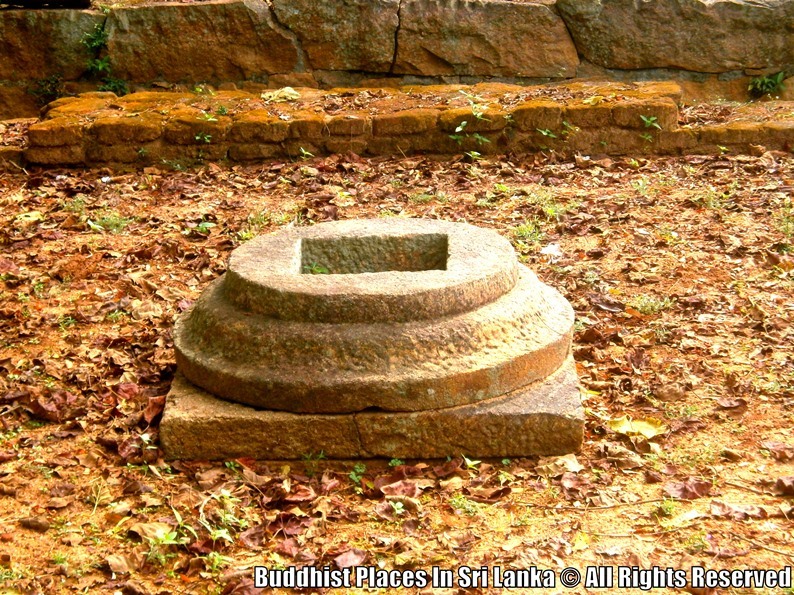 The assembly hall discovered beneath this had been built by King Kanittathissa (164 - 192 AD) in the 2nd century A.D. 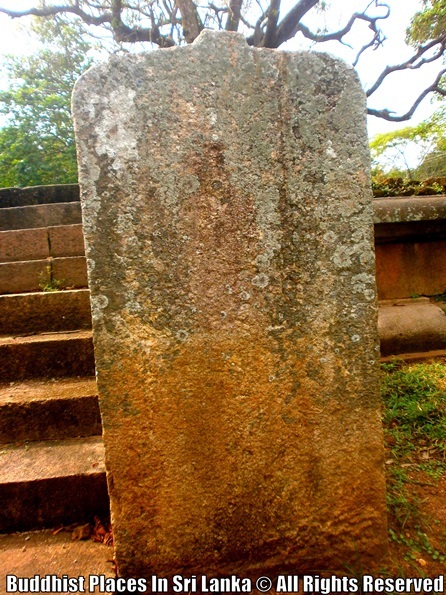 According to his stone pavement inscription. 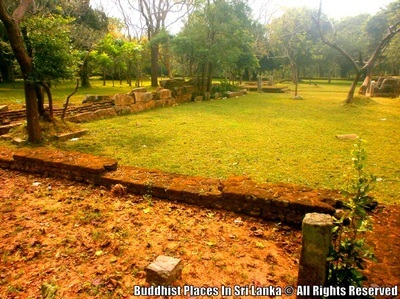 There are some remains of an image house or a deity to the north - east of the compound.